The Hunter is a photograph by Windy Corduroy which was uploaded on February 16th, 2018. 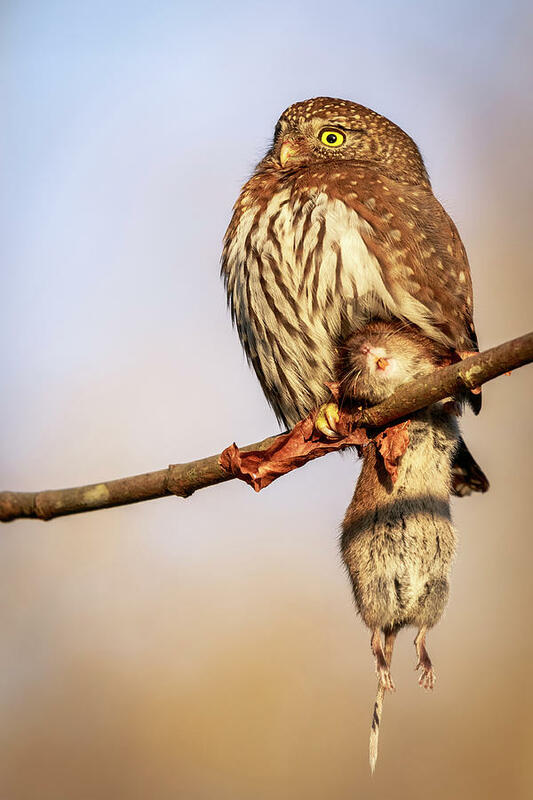 This tiny owl, a Northern Pygmy-Owl, is quite the hunter. 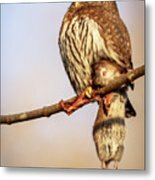 He/she stashed this vole in a tree for a later snack, then caught another one to eat. Being only 7 - 7.5 inches long and weighing 2.2 oz doesn’t stop this owl from catching prey more than twice his/her own weight. 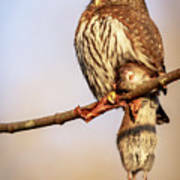 There are no comments for The Hunter. Click here to post the first comment.